If you’re a newbie to entrepreneurship, then we get it. You’re still learning how to shift from an employee to a business owner. No harm, no foul. 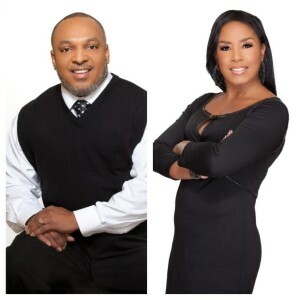 But, if you’re a seasoned entrepreneur, meaning you’ve been in the game for at least a year, then you should know better than to commit this cardinal sin that many marketers tend to make when using the attraction marketing formula. 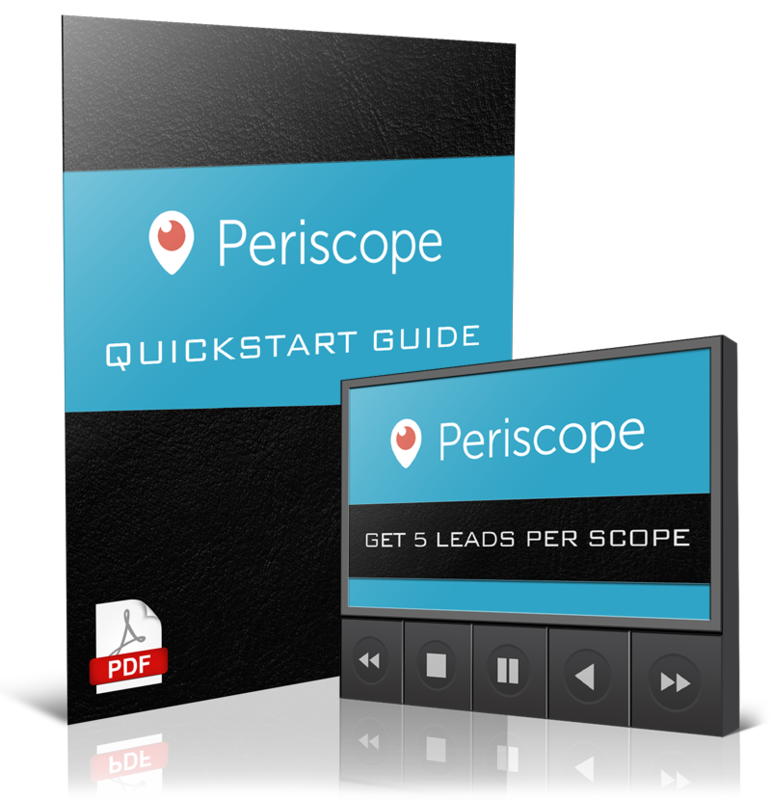 ATTRACTION MARKETING TRAINING: “Simple Steps You Can Take Today to Become the Leader in YOUR Industry, Brand YOU, Attract the Right Prospects, and Make Money Over the Holidays! If you know anything about attraction marketing, then you know that it’s all about building relationships, giving value and establishing yourself as an authority figure in your respective niche market. However, there are some that tend to veer off the beaten path believing that they can do things differently and still get the same results. Boooo!!! Wrong answer. Those that do tend to be the ones that make the biggest mistake of believing all they need to do is SELL, SELL, SELL to their audience. Build your audience – understand who they are, what they’re made up of (i.e., men vs women, older vs. younger, employed vs retired, married vs single, etc,). Start connecting with them. Follow or friend them and just watch their post which helps you put a finger on their pulse (relatively speaking). Engage with your audience – start commenting on their post. Exchange pleasantries. Wish them well when they celebrate special occasions. Share something about yourself in your post that will allow them to get to know, like and trust you. Let them into your world through your post. Give valuable tips and tricks they can use that will educate them and establish you as an authority figure in your respective niche market. Sell to your audience – once you have established yourself as the expert in your field of interest, the moment you promote your products/services, they’ll likely do business with you because of the “relationship” they’ve already established with you. Hopefully, you now see the bigger picture. It’s a progression; but, if done the right way and consistently, then you’ll have them running to you to buy what you’re selling. You can’t just sell to your audience at the onset, though. You’ll run them away. Instead, get to know them, like you would a new friend and allow them to get to know you. Share tips or write content that solves a problem you know they are having that doesn’t involve you “selling” anything but simply sharing a solution. The moment they feel as though you care about what affects them, then they’ll be respective to look at what you’re selling and buy from you. 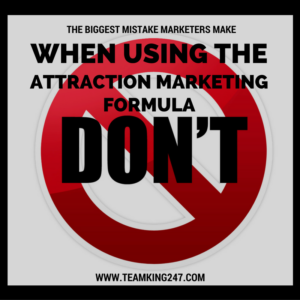 We hope you found today’s post on the biggest mistake marketers make when using the attraction marketing formula informative. If you found today’s post to be of value to you, then we would love for you to leave a comment below. Also, if you believe this information would be a blessing to someone else, then feel free to share it with others.